Sir, what about your Engineering? 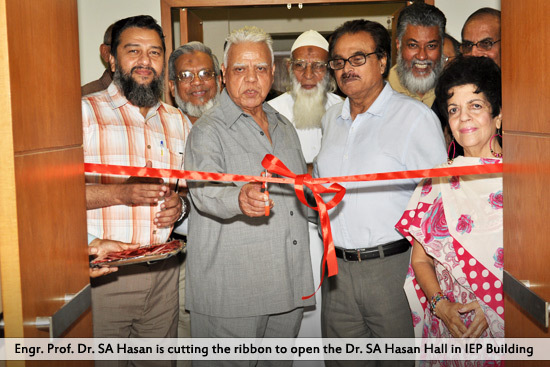 Now Dr. Hasan was quite excited and ordered for the tea, while sipping the tea, he disclosed that he joined Aligarh Muslim University, and after one year, he came to Pakistan, his brother was in Lahore, and then he came to Karachi, and passed his Engineering in 1954. What about your family? With a low tone he continued, Yar in 1959, I got married to an Educationist Doctor; I have one son who is in USA, and a daughter who is in Australia. Doctor Sahib, you have travelled a lot, please share your experience. He laughed I am not a rich man but I was lucky to get scholarships, after graduation, I had scholarship for Herschel Sohn Kassel (Germany), you know I worked in Steam/ Diesel Engines Railway Projects I was very good at these Engines. 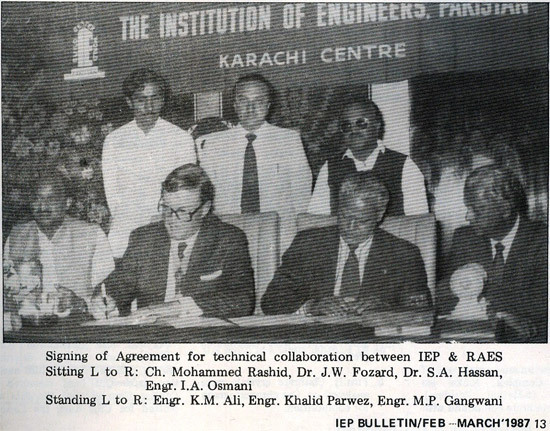 This expertise took me to UK, I joined Edinburg University did my M.Sc in Engineering in 1962 and did my PhD in 1973. He said that I had an opportunity for three years to work on various projects with world famous companies like Sulzerbrothers, Winterthur (Switzerland) and Werkpoor, Amsterdam (Netherland). Besides, I did research, while working with Rustler Hornsby Ltd London, when I was Studying in Edinburgh (UK). Doctor Hasan how did you make use of all this various experiences? He was quite for a while, then scratching his nose, broke out in gruff voice, look here, when you learn a lot, you cannot get a type of job that full fills all your requirements. I thought of teaching, and thus shared all I knew with the world for the betterment of Engineers in particular and human beings at large. I was lecturer in Department of Mechanical Engineering in the University of Edinburgh (UK). 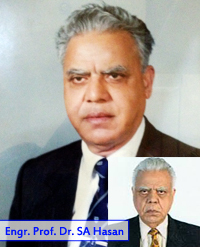 Professor and Head of Department of Aerospace Engineering Pakistan Air Force (PAF) College in Pakistan. Rector Usman Institute of Technology Karachi. Chief of Operations Training-Pakistan International Airlines (PIA) Karachi. And, remained Professor with Karachi Institute of Economics & Technology. Sir, how do you manage, to cop up with all this, I know you are The Past President Institute of Engineers Pakistan, you have remained Vice-President, Pakistan Division, Royal Aeronautical Society, And a founder member of so many Organisations Like International Association for Exchange of students for technical Experience (IAESTE PAKISTAN), Advisor ASME for PN Engineering College Karachi....etc. He replied with a smile, when there is a will there is a way. 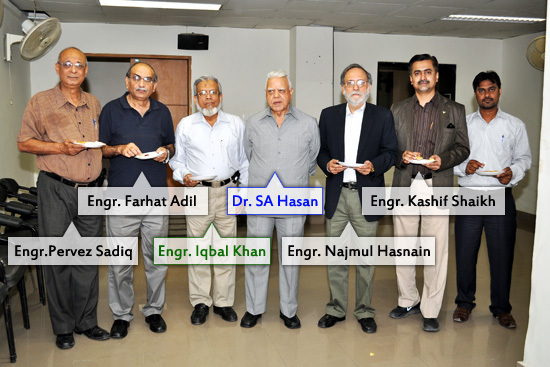 He said it is the prayers of my students, and encouragement by my well wishers, Institution of Engineers Karachi Centre (IEP) has named a Hall all dedicated to me, all these keeps me going . I feel I can do much more, what I have done is very little. Dr. Syed Ali Hasan legend in his own right, he has finally “Hung up his boots” as an academician after 40 years in this field. 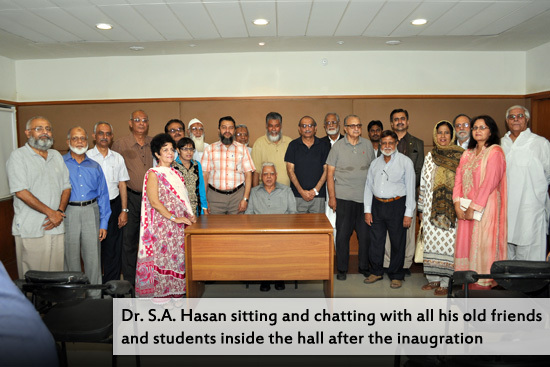 Students from NEDUET, CAE, and NUST, colleges and institutes affiliated with Karachi University etc hold him in high esteem and have nothing but immense praise for Dr. Hasan. An instructor “Par excellence” he has not only taught but groomed them in the process as well. I wished him success in his new venture in USA. And I took his leave, I left him with tears in my eyes, as Pakistan will be deprived of such a good person. Saying KHUDA HAFIZ DOCTER HASSAN.